The first whole genome analysis of an octopus reveals unique genomic features that likely played a role in the evolution of traits such as large complex nervous systems and adaptive camouflage. An international team of scientists sequenced the genome of the California two-spot octopus, the first cephalopod ever to be fully sequenced, and mapped gene expression profiles in 12 different tissues. The findings were published as the cover story (open-access) of the August 12, 2015 issue of Nature. The article is titled “The Octopus Genome and the Evolution of Cephalopod Neural and Morphological Novelties.” Renowned Nobelist Dr. Sydney Brenner is an author on this landmark paper. The researchers discovered striking differences from other invertebrates, including widespread genomic rearrangements and a dramatic expansion of a family of genes involved in neuronal development that was once thought to be unique to vertebrates. Hundreds of octopus-specific genes were identified, with many highly expressed in structures such as the brain, skin, and suckers. The results serve as an important foundation for evolutionary studies and deeper investigations into the genetic and molecular mechanisms that underlie cephalopod-specific traits. The work was conducted by teams from the University of Chicago; University of California, Berkeley; and Okinawa Institute of Science and Technology, as part of the Cephalopod Sequencing Consortium. 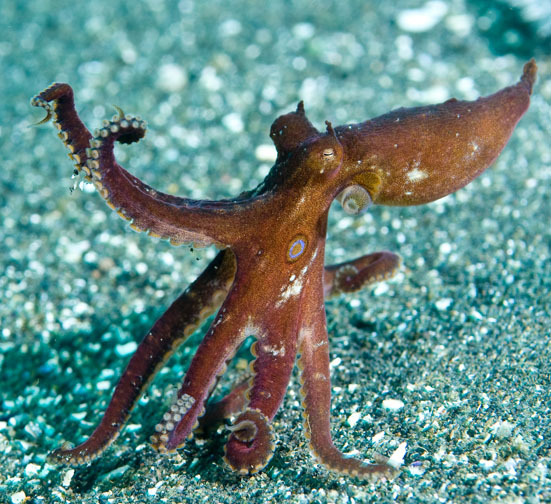 "The octopus appears to be utterly different from all other animals, even other molluscs, with its eight prehensile arms, its large brain, and its clever problem-solving capabilities," said co-senior author Clifton Ragsdale, Ph.D., Associate Professor in the Departments of Neurobiology and Organismal Biology and Anatomy at the University of Chicago. Scientists at the John Innes Centre (JIC) in the Norwich, UK have discovered that Euglena gracilis, the single-cell algae that inhabits most garden ponds, has a whole host of newly identified, unclassified genes that can make new forms of carbohydrates and natural products. Even with the latest technologies, sequencing all the DNA in Euglena remains a complex and laborious undertaking. Dr. Ellis O’Neill and Professor Rob Field from the JIC in Norwich, UK, together with colleagues, have therefore sequenced the transcriptome of Euglena gracilis, which provides information about all of the genes that the organism is actively using to make proteins. From this analysis of its protein-coding mRNA molecules, Professor Field and his team projected that Euglena has at least 32,000 active, protein-coding genes, significantly more than humans, who have approximately 21,000 such genes. The researchers discovered that Euglena has the genetic information to make many different natural compounds; we simply don’t yet know what they are or what they can do. Nearly 60% of the active genes don’t match those found in any other organism studied to date, suggesting that there is much to learn about the biology of Euglena. The new research was published online on August 13, 2015 in Molecular BioSystems. The article is titled “The Transcriptome of Euglena gracilis Reveals Unexpected Metabolic Capabilities for Carbohydrate and Natural Product Biochemistry.” The team also found that different sets of genes become active when Euglena is grown in the dark as opposed to when it is grown in the light. This indicates that Euglena can dramatically shift its metabolism depending on its environment, which reflects its ability to live successfully in many highly varied environments.